There’s not many conferences where people happily give up their Saturday to attend and the excitement in the lead up is comparable to going on holiday or Glastonbury. 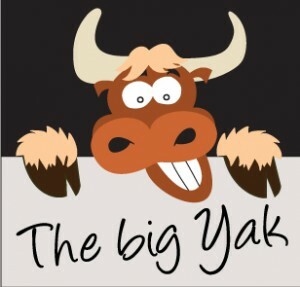 The Big Yak is undoubtedly the conference of the year and last Saturday again proved why. The agenda less day saw 130 communicators get to the heart of the issues in our organisations and discuss them with honesty, humour and frustration. Many people commented after that it was like therapy – and I have to agree! Are communicators the worst at communicating within their own teams? • how happy is your team? Productivity has been proven to have a direct link to happiness (not to be confused with engagement) and considering we spend most of our time with our colleagues, how well we get on can have a huge effect on our wellbeing. What are the value of IC qualifications? • qualifications demonstrate to employers that you are serious in your career and are willing to invest in your development. How does the culture and role of an internal comms team change once we have given our employees a voice on ESNs? • as internal communicators we need to be individuals on ESN. We can’t hide behind ‘internal communications’. Our personalities should come across so we can connect with people and build relationships where we can support them. How do you prove the value of internal communications? • people challenged that just because you haven’t been asked to measure doesn’t mean you shouldn’t been doing it (couldn’t agree more) and if we don’t do it well we will always be seen as marketing’s poor relation. This is just a snapshot of what was a hugely insightful event and I know others have also done blogs which no doubt cover sessions I didn’t attend so make sure you check them out. The Big Yak is also a great opportunity to catch up with familiar faces and meet new ones, hear exciting ideas and share successes. Overall it was a fantastic day and as always I left feeling inspired. My thoughts to come, but this is a really good summary from Helen Deverell. Great summary, Helen, thank you! I think inspiration and building relationships were definitely key objectives for the day, so it is great to hear that you came away energised and inspired – I definitely did too!